David Phillips and his son D.L. Phillips established businesses in Seattle, Olympia and San Francisco. 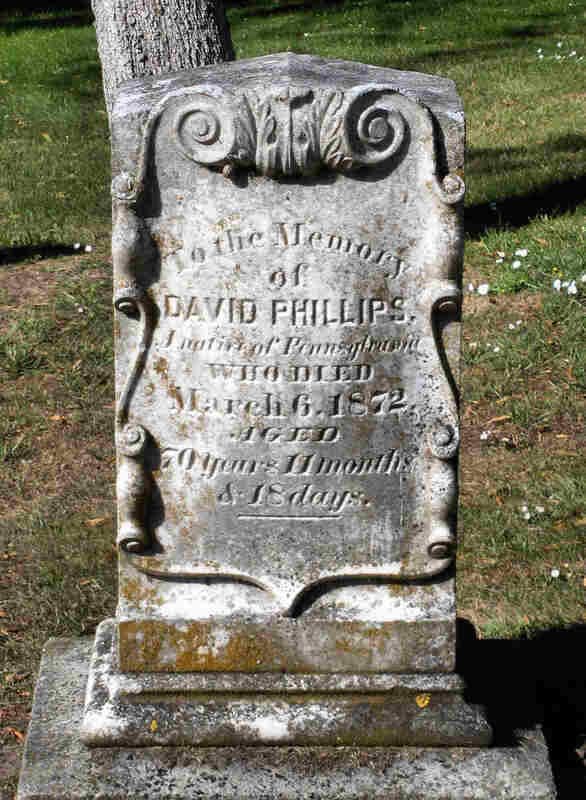 David Phillips died in California in 1872.